This dish is a great way to incorporate lots of veggies into a simple, one-pot (er, one-slow-cooker?) meal. The veggies I’m including in the recipe are very flexible, too; not that they do gymnastics (there’s a bad joke in there somewhere about Mckayla Moroney not approving of my pun or my recipe), but you can feel free to substitute whatever veggies are hanging around in your fridge. It also hits just the right seasoning notes, with chili powder, cumin and garlic adding that Mexi-kick, and a few secret additions (cocoa powder? Yup!) along the way. Also, fun fact: If you have oodles of leftover turkey from T-Givs or other holiday celebrations in the next few weeks and months, this recipe is easily adaptable to include those tryptophan-laced trimmings. Enjoy! Budget Eats: All Your Salad Base Are Belong to Us. There’s a rumor going around that fresh fruits and veggies are way too expensive for the average budget chef to afford. As a result, those of us with tighter wallets are preconditioned to believe that produce is out of our proverbial price range. (How’s that for alliteration? English teacher FTW.) Huge sad, indeed. However! There’s always a balance to strike. First, frozen veggies are frozen at the height of their freshness, resulting in a solid alternative that’s slightly friendlier to one’s budget. Second, if you balance fresh and frozen produce, as well as focus on buying what’s in season (fun fact: apples are WAY more expensive if you feel like buying them in February), you can fill out your diet with the nutrients your body needs. Note: For some quick info about which veggies are prime during which seasons, check out this link from the wise folks at Fruit & Veggies: More Matters. With that in mind, I was inspired to write this Budget Eats post about one of my favorite meals: A great big, veggie-laden salad. The reasoning for that title, however, is two-fold: First, this IS a wallet-friendly way to nosh upon nutritional goodness in salad form. Second, this is a “base” recipe — a simple, tasty and aesthetically pleasing salad that you can top with any sort of protein and other fixins that you choose. I’ll have recommendations and tips posted below the recipe. 1/4 a head of lettuce — I recommend Bibb, Romaine or Red Leaf. Slice carrots on the diagonal, about 1/4 to 1/2 inch thick. Slice tomatoes — if roma tomatoes, slice into small rounds (between 5 and 8 per tomato); if a larger tomato, cut into wedges. Slice or dice additional veggies according to taste and preference. 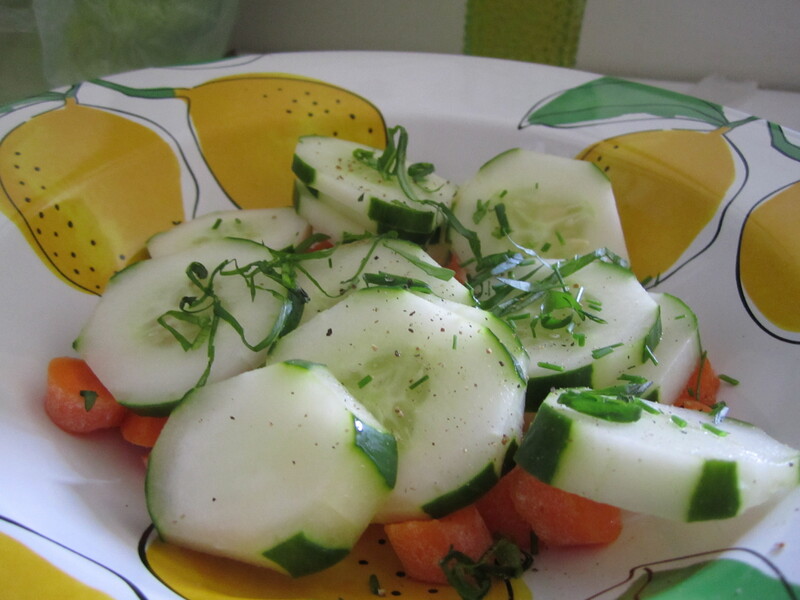 Add ALL veggies to your serving bowl, along with a sprinkling of salt, pepper & fresh herbs, if desired. Toss gently and set aside. Wash lettuce leaves; dry using a paper towel or clean kitchen towel. (Wet greens + dressing = no dressing on your greens. Oil and vinegar are not friends.) Tear or chop gently into bite-size pieces. Add on TOP of your other veggies and refrigerate until ready to serve. When serving, toss the entire salad gently. Dress and top with additional toppings as desired. Nosh upon the veggie goodness. Why place the lettuce on top and wait to toss? It keeps the lettuce from wilting under the weight and moisture of other veggies. Grilled marinated tofu (see this post on tofu scrambles for tips on how to prepare the tofu), crispy wontons or Asian noodles, sliced oranges and Sesame or Ginger dressing. Black beans, salsa, grilled corn, a sprinkle of cumin and chili powder, and Ranch dressing that’s been spiked with taco seasoning. Ricotta Salata cheese (thicker, grate-able ricotta), vegetarian pepperoni (such as Smart Deli), pepperoncini peppers, and thick, crusty croutons. Hard boiled eggs for a bacon-free cobb salad taste. Grilled chicken, marinated with balsamic vinegar, lemon and rosemary; parmesan cheese; and a simple oil & vinegar dressing. Thinly sliced grilled steak, grilled corn on the cob (sliced off the cob), and bleu cheese crumbles. Indian-inspired Chicken salad — 1 diced cooked chicken breast, 1-2 tbsp mayo or Miracle Whip, chopped cashews, golden raisins, and curry powder to taste. Add sliced apples for extra crunch, and serve with grilled Naan bread. Antipasto-style: cooked tortellini (spinach or cheese are great), sliced salami and prosciutto, small chunks or balls of melon, mozzarella cheese (shredded or cut into chunks), and a drizzle of balsamic vinegar and extra virgin olive oil. Serve with breadsticks and a lovely glass of Chianti. Next time on Budget Eats (for real this time): How to make a big ol’ pot of stew, soup or chili and save / freeze individual portions. Happy eating! Kitchen Nightmares: No Power? What to Cook? Friends and fellow ‘90s children, do you remember “Home Improvement?” (Probably the best PR that the Detroit region has received in the last 20 years beyond those “Pure Michigan” commercials.) Tim Allen, a.k.a. 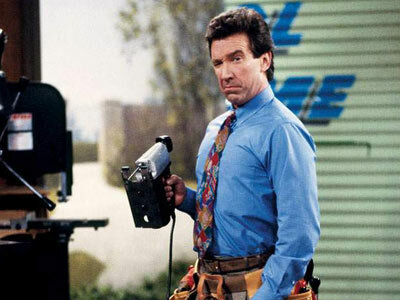 Tim “The Tool Man” Taylor, used to rev up his Binford power tools with more and more electricity, happily grunting “More Power!” to his “Tool Time” fans. If this guy were in charge, I’d have had electricity in 5 minutes. “More Power,” funnily enough, is what I find myself wailing to the high heavens, now that my power’s been out for 3 days. 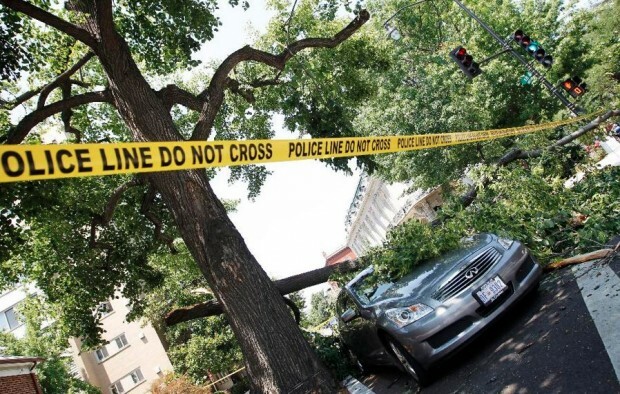 Whether or not you’re a big “watch the news” person, you may have heard about a little storm that recently blew through the DC area. It was, according to the History Teacher – a trivia master if I’ve ever known one – a derecho, which he says means “straight ahead” in Spanish (and is closely related to the word derecha, which means “right.” Remind me to never ask for directions in a Spanish-speaking nation). The derecho is a tornado-esque storm that travels in a straight line, rather than spinning in a whirling dervish of destruction. Scary. And, well, very destructive. Derecho damage! Aiee! Courtesy of theblaze.com. But what to cook? Does the electricity-free chef have to suffer through a combination of peanut butter sandwiches, un-toasted Pop Tarts, and a wallet-emptying series of meals eaten out and daily grocery store trips? To face this challenge, I got creative with a basic recipe for Mexican Caviar. Muy delicioso, my friends. Courtesy of tobasco.com. This time, I combined basic pantry ingredients with two produce items that comfortably exist outside of my defunct refrigerator – limes and tomatoes – and created More Power Mexican Caviar, a dish that easily serves 4 hungry “refugees,” as a colleague referred to us powerless ones this morning. Happy eating! Whole wheat tortillas or whole grain tortilla chips, for serving. Drain the can of chicken and scoop the meat into a serving bowl. Drain and rinse the black beans in a colander, adding them to the serving bowl. Drain the corn and add it to the bowl, along with the chopped tomato and spices. Squeeze the juice of ½ a lime over the mixture, and stir gently until well-combined. To serve, distribute individual tortillas to each diner, rip them into pieces and scoop up each bite of dip. Tortilla chips – particularly multigrain or blue corn varieties – are also delicious. 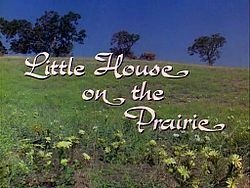 “Little House”: When running down a hillside was major entertainment. Buy minimal produce daily, and make sure it’s specific to your recipe or plans. (Farm stands are great, local sources of fresh fruit and veg this time of year.) So European of you. Raid your pantry – you can make great mixed bean salads, for example, with cans of chick peas, black beans, or cannellini beans. Got a can of black or green olives on a pantry shelf? Mix ‘em with tomatoes and chopped herbs for an instant tapenade to share. Canned tuna, salmon or chicken? Toss with bought-that-day veggies and herbs for a fresh take on salads. Embrace items that won’t go bad at room temperature – peanut butter, honey and banana sandwiches are delicious, for example, and are made that much easier to “cook” given that the PB and honey will last for ages in your pantry. If you have a gas or charcoal grill and the weather’s amenable, grill out what you can afford. Remember, though, that if you can’t store the leftovers, you should either buy minimally or commiserate your powerlessness eat with local friends. Oil, vinegar and spices need no refrigeration, and add so much taste, flavor and oomph that you may not even miss the familiar hum of electricity. What sorts of recipes, shortcuts, or ideas do you have for power-free dining? Do you admit defeat and order a delicious pizza or hit up your local restaurants? Or do you brave the wilderness of heat-free cooking? We’re back! (A Dinosaur’s Story! … which I never saw. Clearly because the movie did not contain any quesadillas. Duh.) The “Here Chickie Chickie” posts continue with the latest in my series of what-can-I-do-with-my-rotisserie-chicken recipes and ideas. For the original post on shredding your chicken, click here. 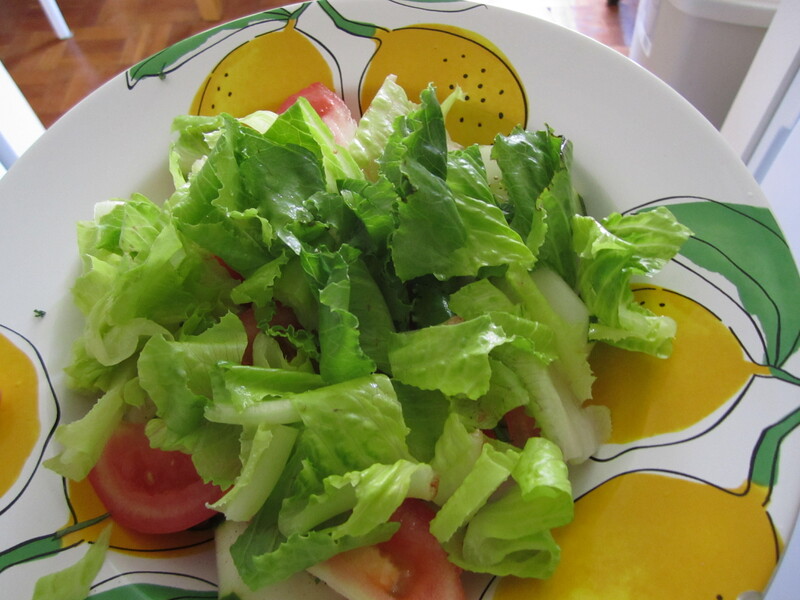 If you’d like to revisit our Chef’s Salad, click here. This one’s a pretty simple Chipotle-Lime Chicken Quesadilla, where the meat gets most of its flavor from fresh lime juice and chipotle peppers in adobo sauce. If you’re not familiar with Mexican food, chipotle peppers in adobo sauce are the source of that “smoky, spicy, what-on-earth-IS-that-deliciousness?” flavor that you’ll find in a lot of Mex-Mex and Tex-Mex dishes. If you’re a fan of Rachael Ray, she frequently adds these to Mexican and other dishes to add a much-wanted kick to some otherwise bland flavors. Serious nom nom nom. Chipotle Peppers in Adobo. 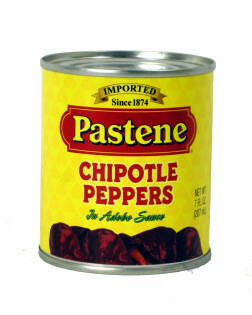 Even Pastene — my favorite brand of canned tomatoes — sells these bad boys. So many chicken noms … Eat All Teh Noms! Rotisserie Chicken meat, preferably shredded. You could also easily make these with cubed cooked chicken breast meat. 1-2 tsp Mexican seasoning blend / taco seasoning blend. You can also substitute cumin, chili powder, and garlic powder. 1 bag Mexican-blend cheese — this usually includes Monterey Jack, cheddar, and a few others. If you’re looking to be really authentic, try some DEEE-licious queso fresco. In a medium-sized bowl, mix together the chicken, chipotle pepper, white onion, tomato, juice of 1/2 a lime, and seasoning blend until well-combined. Try adding chopped green pepper to this for an extra crunch — or Sriracha for extra heat! Heat a pan or cast iron skillet over medium-low to medium heat (about 4 or 5 on the stove dial). Meanwhile, sprinkle as much cheese as you like onto each tortilla. Cut into 4 wedges and serve with lime slices, salsa, sour cream, and whatever sides you like. Furthermore, the beauty of making quesadillas is how versatile their contents can be. Got eggs, ham, and barbecue sauce? 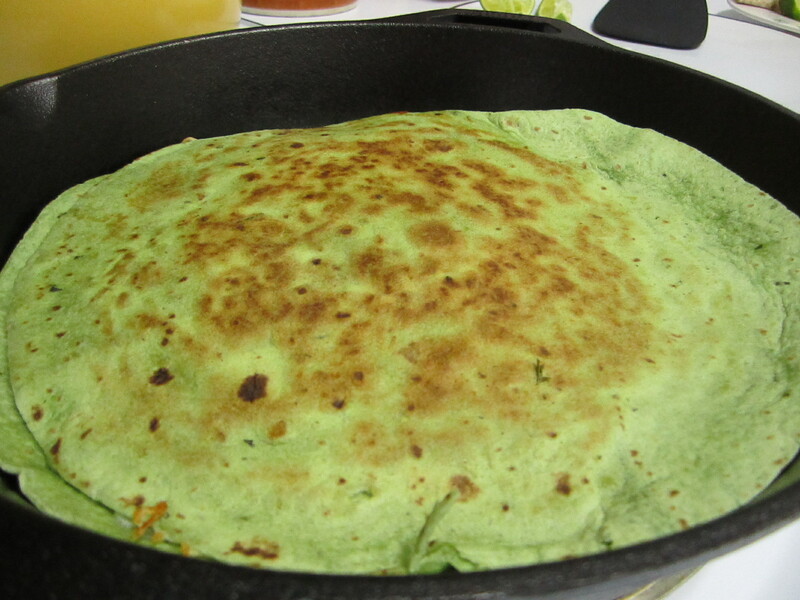 How about a Breakfast Quesadilla? 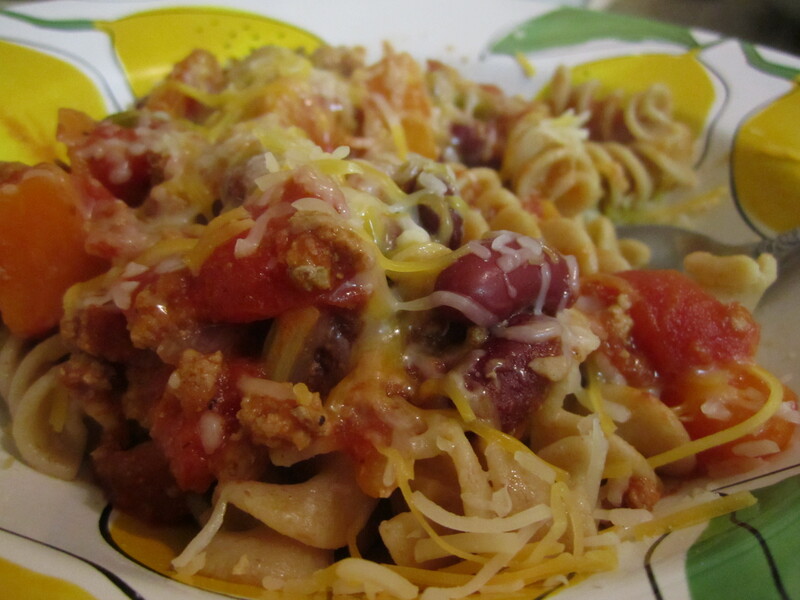 Got a can of black beans lurking in your pantry? Mash ’em up with salsa, chopped onion and some herbs, spread the mixture on your tortilla with cheese, and you’ve got a Veggie Quesadilla extraordinaire. The History Teacher even made a pizza-esque quesadilla the next day after combining spare tomato sauce, meatballs, some sliced mushrooms and provolone cheese. An Italian-dilla?Why not? Ciao Bella and Adios! Stay tuned for a few more Here, Chickie Chickie updates in the next few days, including a Cast Iron Skillet Pizza that may or may not have resulted in an epic 2nd degree burn-fest for yours truly. Note to self: hot skillet will remain hot for quite some time.